Marvel at miles and miles of tulips. Thousands of windmills will beguile you. But, you may not be prepared to see bicycles in all four directions. 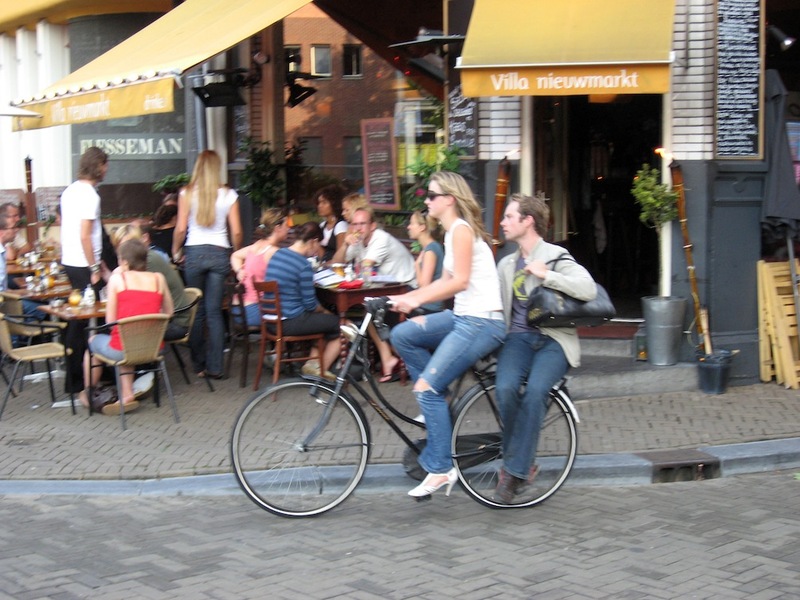 Welcome to Holland, where cycling is the go-to mode of transportation and recreation of choice. And if you want to do as the Dutch do, better rent yourself a bike! Good to Know: Don’t expect your rental bike to come with ergonomic grips and fancy ding-dong bells. Chances are, you’ll get a conservative one-speed model, with a back pedal brake. It’s all good. You can tour Holland, looking more like a local, less like a tourist. The Dutch revere bicycles as companions along life’s highway. In fact, the more dents and dings, the higher the status symbol. Cycling in Holland is destination-driven. Locals dress for where they are going – to work, to school, to social events – instead of wearing politically correct cycle clothing. If you want to blend in with Dutch cyclists, leave your designer lycra at home. Wear weather appropriate clothing and forget chic. Whether or not to wear a helmet presents a real sticky-wicket. There is no Dutch law saying you must. Locals don’t wear them. We’re leaving it up to you. Good to Know: Do not take off on your bicycle without personal ID. If you are stopped by police, you must be able to produce authentic identification. Considering Holland is tied with Denmark as number one most cycle-friendly country in Europe, it makes sense that there would be hundreds of dedicated bike paths to investigate. Cyclists rule! 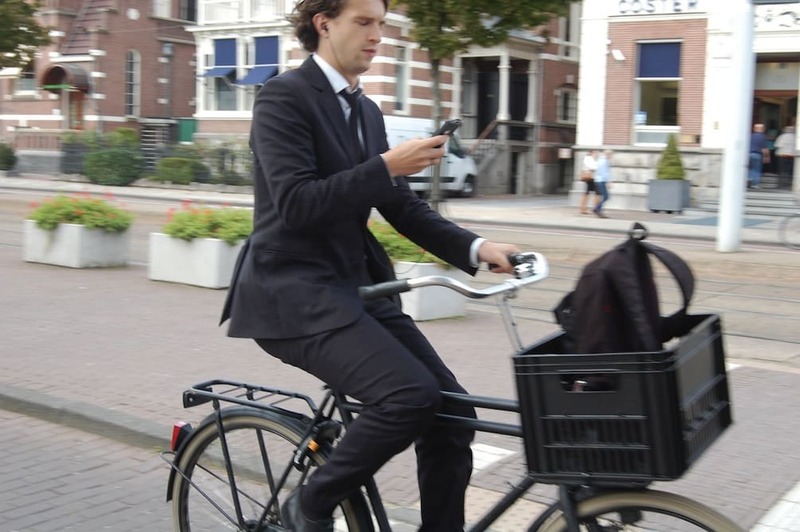 You will soon realize that autos and even pedestrians defer to bikes. Where there are no bicycle paths, you must go halfsies with motorists. Ride with the flow of traffic. Gotta love those signs that read: ‘Bike Street: Cars are Guests’! It’s a good idea to obey traffic lights, although locals tend to zoom right on through. Use hand signals when you are turning. Before passing another cyclist, ring your bell to alert them. Always pass on the left. Good to Know: Ensure your front and back lights are working; or else, you’ll be subject to a fine. Tulips, Hyacinths and Daffodils! Oh My! Spring is in the air, with its intermingled scents of tulips, hyacinths and daffodils. Cycle down back roads and watch the colorful countryside unfold like a living tapestry. Or opt for a guided tulip tour. ‘Bike & Barge’ holidays are popular, where you’ll take turns sailing and cycling. The iconic ‘Keukenhof’ flower garden is a don’t-miss. 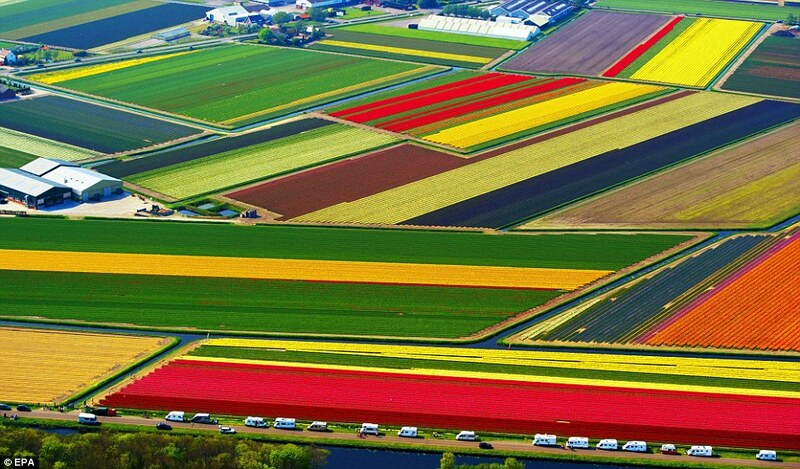 You will see over six million tulips, hyacinths and daffodils. Good to Know: The tulip tour presents one loooong photo op. A scant few of Holland’s 1000 windmills are still working away grinding grains and draining lowlands. If perchance you’re in Holland for National Windmill Day, 2nd weekend in May, the windmills are decked-out in flowers and flags. Last Word: When you leave your bike lock it! Otherwise, get ready to walk. Theft is almost an occupation in Holland. 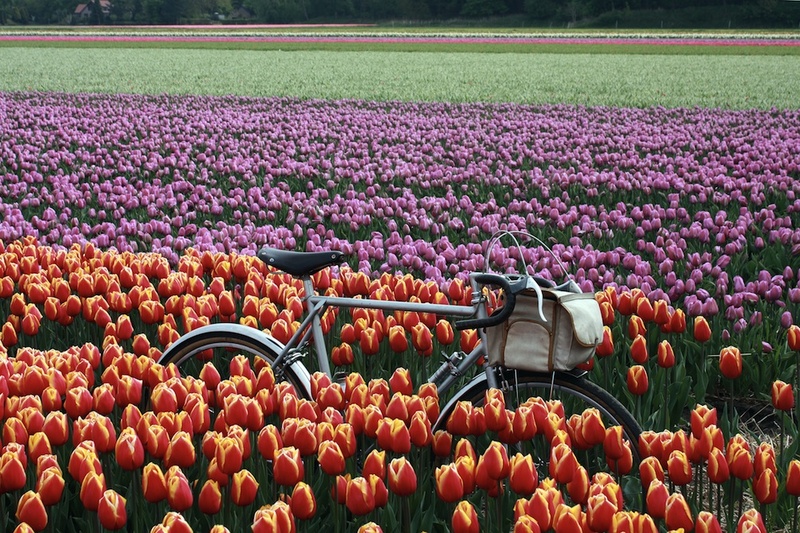 Get your cycling mojo running and experience the best of Holland!